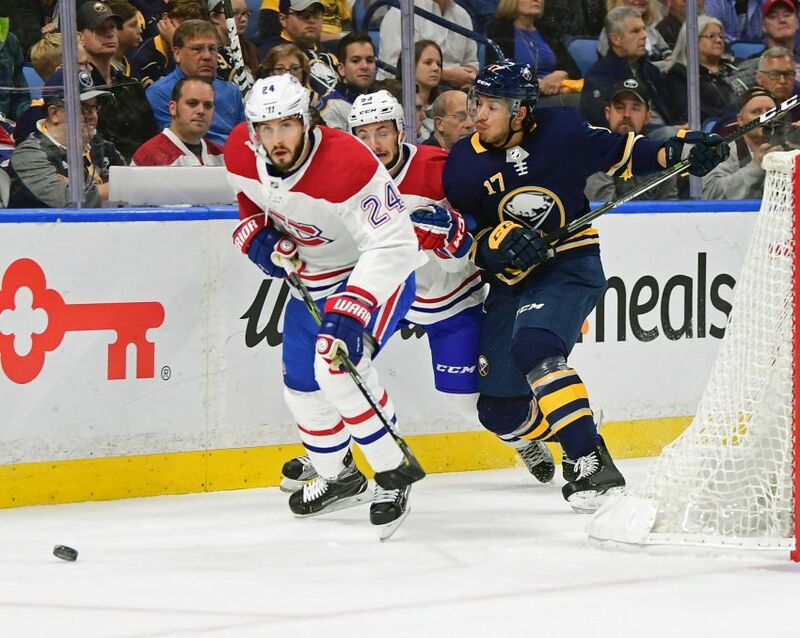 BUFFALO – Jordan Nolan won two Stanley Cups in Los Angeles, so while the Sabres winger already played against the Kings in October, facing his old team for the second time will still be special. “I have a lot of friends on that team, that’s where I started my career and we were successful from the start, so you always have that kind of bond no matter where you go,” Nolan, who was claimed on waivers Sept. 27, said this afternoon. Based on lines during today’s practice inside KeyBank Center, Nolan will return Saturday afternoon after sitting out the last two games as a healthy scratch. Fourth-line winger Nick Baptiste, a recent recall, will likely be the odd man out. The Sabres, fresh off Thursday’s 3-2 overtime loss in Ottawa, will also likely scratch defenseman Josh Gorges for Justin Falk.